43 Properties Found. Page 1 of 3. According to the South Carolina Golf Course Ratings Panel Belfair is one of the finest private golf club communities in the the state with both courses ranked in the Top 30. It is situated in Bluffton, SC, five miles from Hilton Head Island, SC and occupies the former site of a genuine Lowcountry plantation by the same name. Crops such as Sea Island cotton, indigo and rice were grown for the pre-civil war markets in the North. This historic piece of land has stayed largely intact from the early 1800's until now. Register for your free account: your search criteria will be saved and you can view details of various Hilton Head and Bluffton listings quickly and easily. In addition, you can choose to receive an email whenever a new property (matching your needs) comes on the market. This service is entirely free, and none of your personal information will ever be shared with a third party. Belfair features two acclaimed, championship Tom Fazio designed golf courses known simply as the East Course and the West Course, though there is nothing simple about them. The West is a parkland design while the East, which neither looks or feels like the West, is rooted in the revered links tradition. In addition to the extraordinary golf, Belfair homeowners enjoy the Jim Ferree Golf Learning Center (one of the finest in the country), a luxurious, comfortable Charleston-style Clubhouse and the Belfair Sports and Fitness Center, which has not only the extensive fitness facility, but also an indoor pool, outdoor pool, food service, tennis courts, playground, dog park, soccer field and spa treatment rooms. To learn more about Belfair, click this link to download our FREE e-book Everything You Ever Wanted to Know about the Private Golf Club Communities. - here you'll get thorough description of Belfair's amenities and all fees associated with living and playing in Belfair. 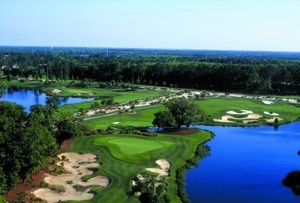 As an added bonus you'll also get this same information on all the Hilton Head area's Private Golf Club Communities. Why might it be the perfect time to buy real estate ... either in the Hilton Head Island area, or somewhere else in the country? We've written a book, 7 Reasons Why Your Timing is Excellent to Buy Real Estate, to answer that question. Click here to read it on line or download it.